How Bad Was Amed Rosario’s Debut, Exactly? There’s no doubt that Mets shortstop Amed Rosario had a tough debut. He walked three times and struck out 49. Though he showed some power, he usually hit the ball softly and on the ground. Really the only thing that went well, looking back, is that he provided good defense at a position where the team could use an upgrade. But. How much do we really know about a player after 170 plate appearances? Especially one who hasn’t turned 22 yet? How pessimistic should we be? Take the long view and there are some glimmers of hope, even among his major-league statistical comps. Look for rookie shortstops under 22 with more than 170 plate appearances in their debut who were also below average when it came to patience, contact, and power, and the list is not without some upside. Since 1974, rookie seasons for all shortstops under 22 with a K% > 20%, BB% < 8%, ISO < .155. Despite some bright spots, a list like this raises concerns. What if he’s more Cristian Guzman or Orlando Arcia than Xander Bogaerts or Alex Rodriguez? 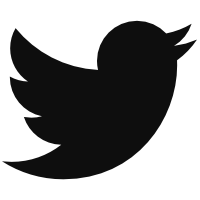 Still, a lot of the metrics here take a while to become meaningful. You wouldn’t want to give up on a young player due to 170 plate appearances of a poor isolated slugging percentage when that takes months to stabilize. 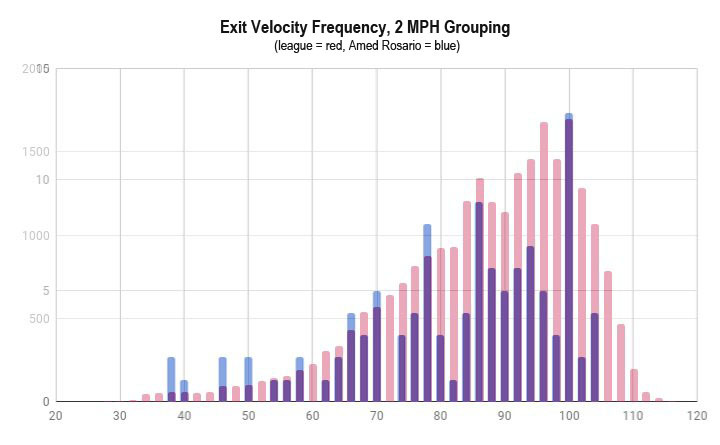 Exit velocity and launch angle, on the other hand, are supposed to take only around 50 balls in play to stabilize. Rosario recorded 128 balls in play. He hit the ball softly (84.2 mph, where 87.1 mph is average) and in bad angles (7.2 degrees on average, while the league produced an 11.1 mark last year), and all those meekly hit balls into the ground resulted in an expected slash line of .217/.240/.316. Not quite. For one, we’re not sure how aggressively to age exit velocity. Andrew Perpetua’s early work on the subject of aging exit velo looks a lot like regression: low values increase year over year at first, while high values only fall. We only have three years of that data with which to work, though. And though 50 balls in play may be enough to know something about in-season exit velocity, how much does it tell you about season-to-season output? Especially when that aging thing comes up? And also what does the interaction of launch angle do to the required number of events? Here’s another way of showing the problem. 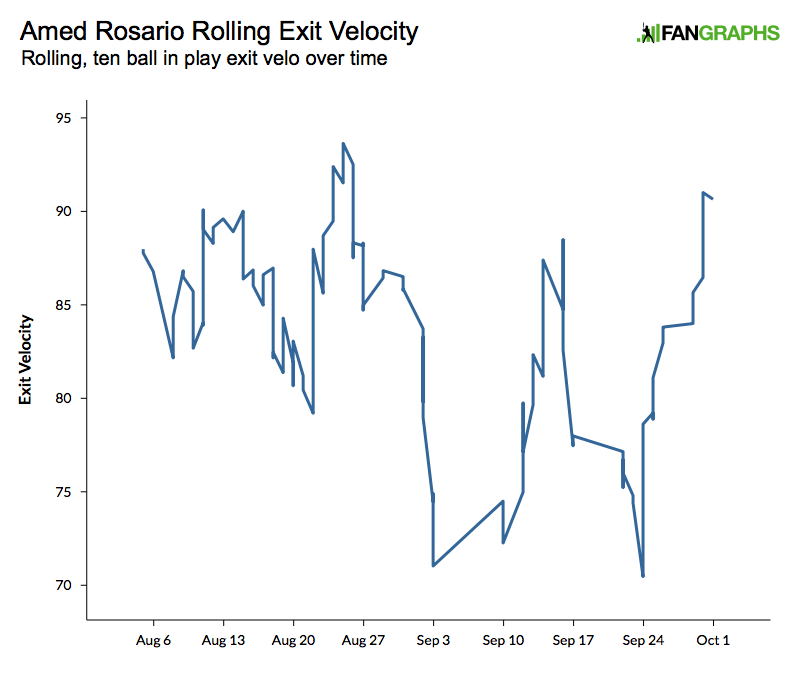 In blue on the following graph, you can find the count of Amed Rosario’s exit velos in 2-mph blocks. Behind it, in red, you have the league’s nearly normal distribution. You’d give that blue distribution an incomplete, wouldn’t you? Yes, he didn’t hit a lot of balls between 95 mph and 100 mph, but are we sure we know how the rest of that histogram will fill in? Especially with that peak at 100 mph? Further complicating matters is a finger injury Rosario suffered in early September. Injury is something Carlos Correa once acknowledged is detectable in the exit-velo data. Is it something we could see in Rosario’s own numbers? “Yes!” is the short answer. Right there, at the beginning of September, you can see a huge dip in exit velocity, presumably due to that finger. He recovers late in the season. Case closed! It was the injury all along. Well, maybe not. Rosario also wasn’t that great in August, when he was healthy. His exit velocity that month (86.1) and launch angles (9.9) weren’t that far off his full-season numbers. That was in a sample of 71 balls in play and produced an expected .221/.244/.337 line. Oof. We still have to return to the fact that Rosario is just 21 years old. He should be expected to regress towards the league average next year. Let’s say he’s likely to produce an exit velocity between the one he showed in aggregate and league average (84-87) and retain the launch angle he showed when healthy (7-11). Here are the batters who’ve recorded average numbers in both those ranges over the last three years: Elvis Andrus, Tucker Barnhart, Jordy Mercer, and Brandon Phillips. Other middle infielders who show up in those ranges include Nick Ahmed, Alexi Amarista, Adam Frazier, Alexei Ramirez, and Kolten Wong. The less powerful version of Andrelton Simmons appears once, as well, which seems relevant. As much as we’d like Amed Rosario to be like Elvis Andrus or Andrelton Simmons, we have to remember the journeys that Andrus and Simmons took to get where they are today. Could Rosario be a plus defense shortstop with good baserunning who usually gives league-average overall production? That still looks within reach — he looks like a better defender than everyone else on his healthy comp list. That’s still a good player, even as bad as Rosario’s debut was. But the range of outcomes has certainly dwindled from where it was when he was an untouchable prospect with the world as his oyster. After all, that debut did happen. We hoped you liked reading How Bad Was Amed Rosario’s Debut, Exactly? by Eno Sarris! But I’m sure everything is fine, just like it all worked out with Dilson Herrera, Cesar Puello, Fernando Martinez, Brad Holt, Deolis Guerra, Lastings Milledge, Justin Huber, Victor Diaz, Alex Escobar, Grant Roberts, Jay Payton, Paul Wilson, Alex Ochoa, Jason Tyner, and Jorge Toca. Agreed. We know that Rosario can still be a Major League starter with a below average bat. Dom Smith will live and die based on his offense. He looked overmatched on both sides of the ball in his debut, but maybe he’ll adjust. We’ll see. At the very least, he looks like he has enough power to stick at 1B if the hit tool matures. Sure, some big failures there… like Alex Ochoa who made it to AAA as an Oriole is surely on the Mets. And Jorge Toca who made his professional debut at age 28?? Guys like Tyner and Victor Diaz were never even notable enough to make a top 100, let alone top 10. I suspect it’d be rather easy to make a list like this for every team, especially given that you’re digging back 20+ years. Jay Payton ended up as a perfectly okay player, too. I feel the same sense of sour grapes about a lot of these names but it doesn’t seem all that Mets-specific to me, apart from maybe as a commentary on the unfortunate extra degree of hype that attaches to prospects for big-market teams. Maybe Ahmed will revolutionize the front office and have a best selling book and movie written about him? i feel like the Mets ruined Fernando Martinez. Dude was rushed to the minors way too quickly. I believe you mean Blastings Thrilledge. Start making more money weekly… This is a valuable part time work for everyone… The best part ,work from comfort of your house and get paid from $100-$2k each week …•••••••?? Glove was never there…2 players, great examples of why you should never get too excited about prospects. Not every Top 5 prospect turns out to be Carlos Correa. Hey it worked out great for Justin Turner ! !